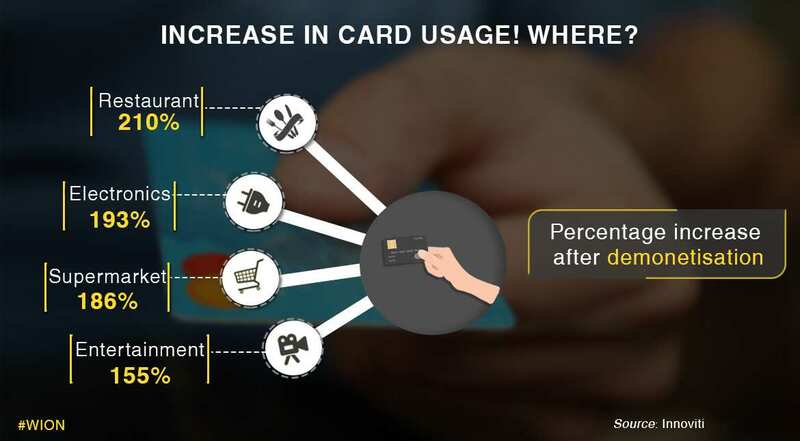 Growth in credit card transactions is lower than debit card transactions, nevertheless, there has been a significant growth. 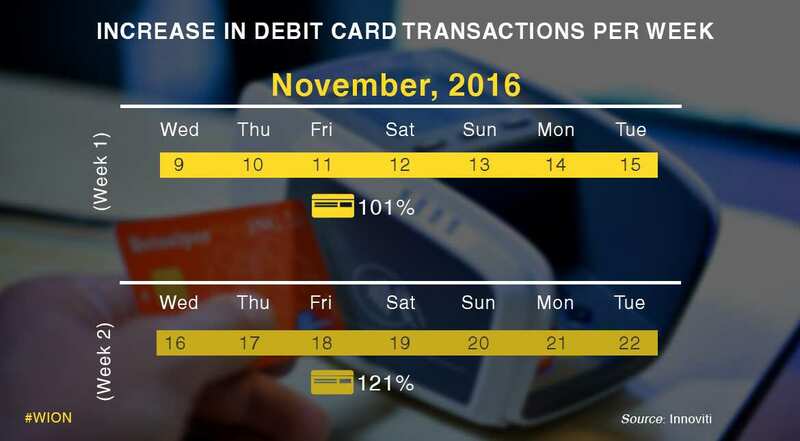 The debit card transactions have more than doubled since demonetisation. 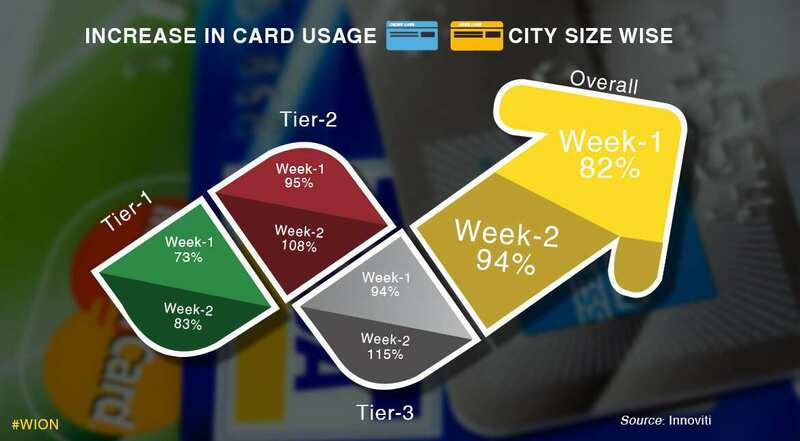 The maximum increase in the card usage has been seen at restaurants. 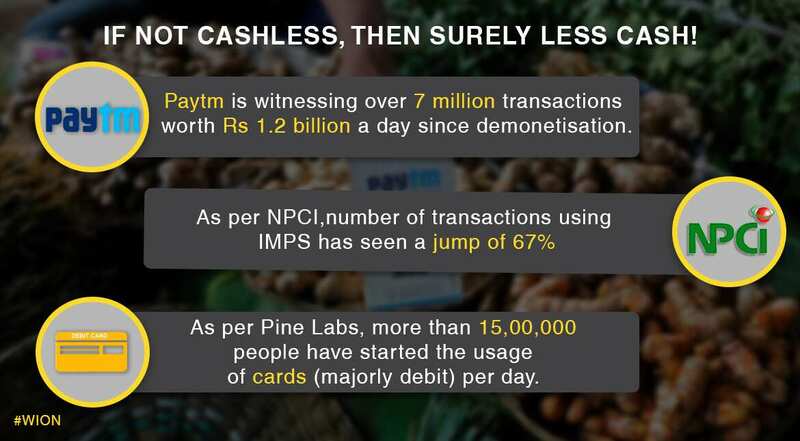 Different agencies have come out with figures that point out that India is moving towards a cashless economy.